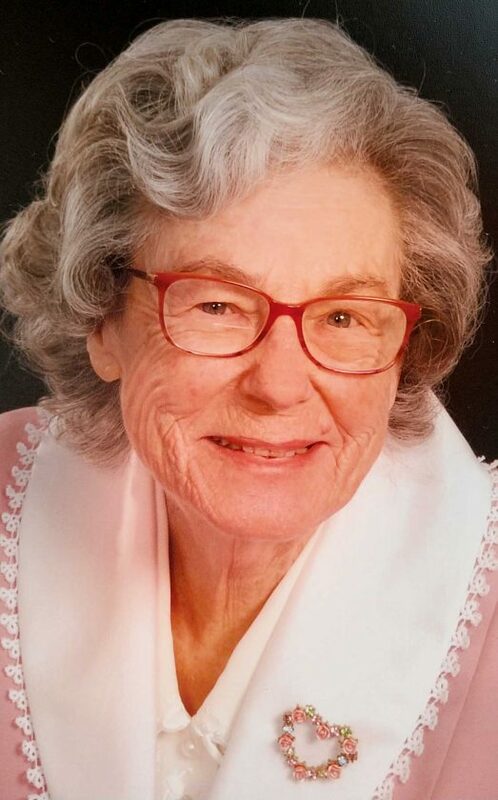 Colleen Rose Ash, 87 of Parkersburg, passed away February 10, 2019 at The Arbors in Marietta, OH. She was born August 11, 1931 in Parkersburg, a daughter of the late O. W. and Edith (Hess) Griffin. Mrs. Ash was a homemaker and a graduate of Mountain State Business College. She was a life-time member of the Camden Avenue Church of Christ where she was active in the Golden Agers group. She was a member of the Ohio Valley University Stepping Stones and was the President from 1971-73. Surviving are two daughters: Rebecca Chapman (Steve) of Ravenna, OH and Linda Liggins of Laurel Hill, FL, five grandchildren: Keva Payne (Trent), Dawnell Leininger (Jon), LaNease Gunnoe (Matt), Joel Liggins (Lauren) and Melissa Inkenbrandt (Bobby) along with 10 great grandchildren: Zachary and Morgan Payne, Isaiah, Abigail and Michael Leininger, Ashton and Kylie Gunnoe, Makayla and Georgia Liggins and Maddilyn Inkenbrandt. In addition to her parents, she was preceded in death by her Husband Robert L. Ash, sister Vada Ramsey Weaver, son-in-law Marty Liggins, nephew Terry Ramsey and great granddaughter Lydia Inkenbrandt. Funeral services will be Wednesday 10AM at the Leavitt Funeral Home, Parkersburg with Evangelist Dana Slingluff officiating. Interment will follow at Spring Hill Cemetery, near Joseph’s Mill, Tyler County. Visitation will be Tuesday 2-4 and 6-8PM. Memorial contributions may be made to Love and Care Facility 5368 DuPont Road Parkersburg, WV 26101, Lads to Leaders c/o Camden Avenue Church of Christ 2900 Camden Avenue Parkersburg, WV 26101 or Midwestern Children’s Home PO Box 48 Pleasant Plain, OH 45162. Online guests may send condolences to the family by visiting www.LeavittFuneralHome.com.